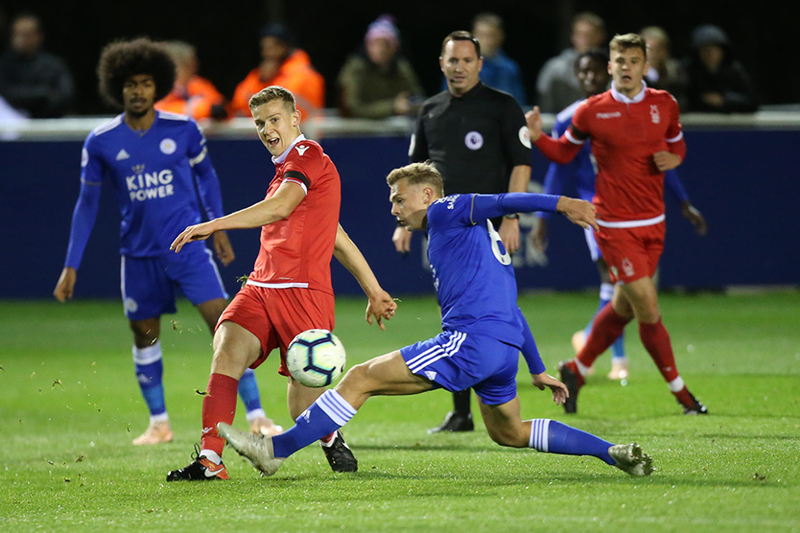 Two goals from Virgil Gomis earned Nottingham Forest a 2-1 victory at Leicester City to continue their perfect start to this season's Premier League Cup. Gomis controlled and finished smartly after great work from Yassine En-Neyah on the right to put Forest 1-0 up at Holmes Park, before Khanya Leshabela curled in a superb first-half equaliser for Leicester. But Gomis scored again from close range on 78 minutes to stun their Premier League 2 Division 1 opponents. Forest's second win from two matches puts them three points clear of Leicester at the top of Group D.
Tyler Frost scored all three goals as Reading beat Birmingham City 3-0 to extend their unbeaten run in PL competitions to 12 matches. The hat-trick came in the second half, starting with a 65th-minute opener before two penalties. As well as leading Division 2 Reading are level on six points with Fulham at the top of Group G. Birmingham have yet to pick up a point. Hull City beat Oxford United 2-1 for their first cup win. Keane Lewis-Potter scored both Tigers goals, either side of a Harvey Bradbury strike for Oxford. The win puts Hull second in Group E on three points, ahead of Oxford on head-to-head.